At work we are going to have a Christmas potluck. 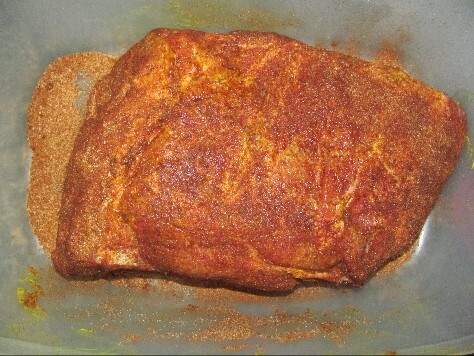 Decided to do a hickory smoked pork shoulder for some pulled pork sandwiches. I know I have already posted pork shoulder cooks before but I wanted to show my coworkers (my awesome unit team) how I cooked it. I made a basic BBQ rub. Applied mustard first so the rub would stick better. 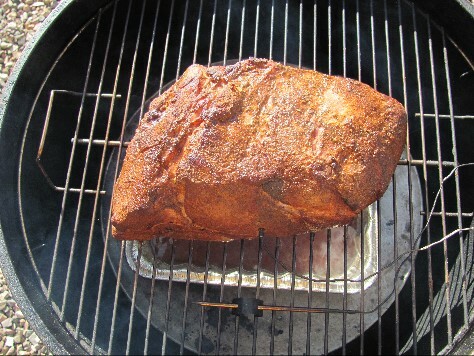 Used Royal Oak lump charcoal on my Crimson Weber kettle with the Cajun Bandit Stacker attachment. 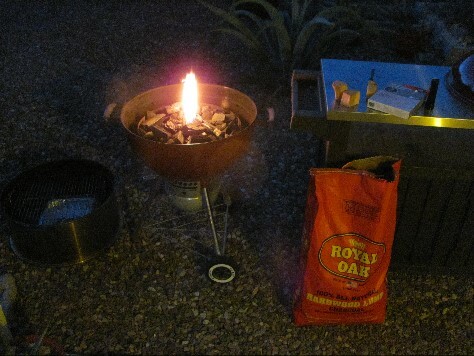 Started the fire with one lighter cube and slowly raised the grate temperature to 255. I then added two chunks of hickory wood and also added a water pan to catch drippings as well as to help regulate the grate temperature. I used two temperature probes one for grate temp and one for the meat. The grate temp varied form 250 to 275. 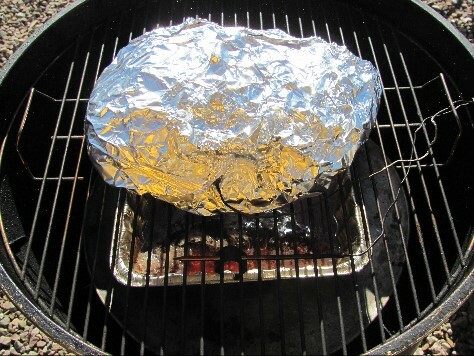 When the meat temp reached 165 I double wrapped with foil and cooked until the internal temp reached 197. 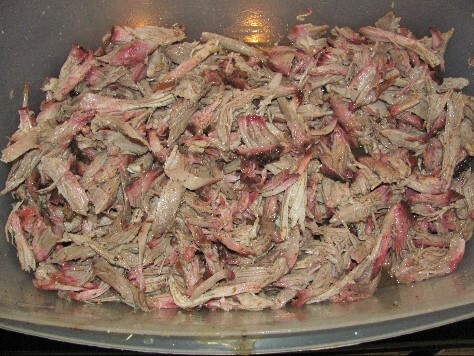 Pulled it from the smoker and let it rest till it was cool enough to be pulled. 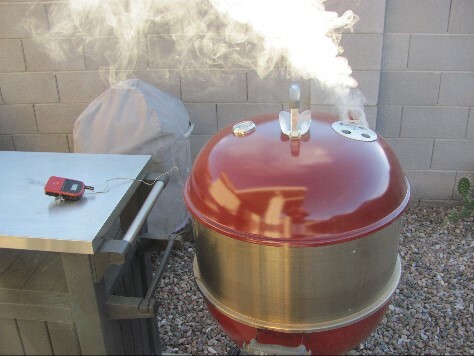 I forgot to show a pic of the entire rig so I posted a pic of a previous cook. Finally got it the way I wanted it. Had some issues with pics. All fixed now.